We have 71 registered suppliers in this Province ..! 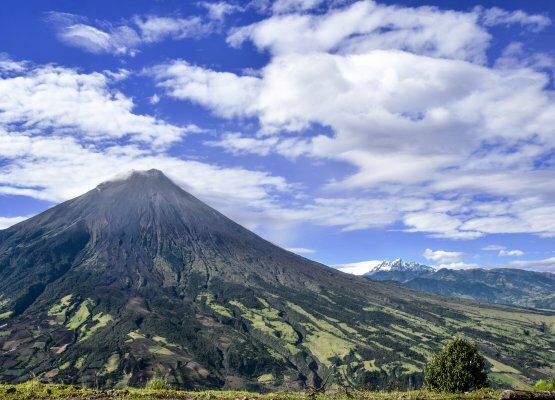 The Province of Tungurahua is one of the 24 provinces that make up the Republic of Ecuador, located in the center of the country, in the geographical area known as the interandean region or sierra, mainly on the Patate basin. Its administrative capital is the city of Ambato, which is also its largest and most populated city. It occupies a territory of about 3,334 km², being the second smallest province by extension, behind Bolívar. It limits to the north with Cotopaxi, to the south with Chimborazo, for the west with Bolívar, to the southeast with Morona Santiago, to the east with Pastaza and to the northeast with Napo. 504,583 people live in Tungurah territory, according to the last national census (2010), being the seventh most populated province in the country. The Province of Tungurahua is constituted by 9 cantons, from which their respective urban and rural parishes are derived. According to the latest territorial order, the province of Tungurahua will belong to a region also comprised by the provinces of Cotopaxi, Chimborazo and Pastaza, although it is not officially formed, called the Central Region. He had different migratory periods from the mountains such as puruhás and panzaleos. Later on it was conquered by the Incas under the command of Huayna Cápac. Spanish colonization occurred when the town of Ambato was built, by the year 1535, with its founder Sebastián de Benalcázar. After the independence war and the annexation of Ecuador to the Gran Colombia, the Province of Chimborazo was created on June 25, 1824, within which the current Tungurahua territory is located; then it would become part of the Province of León. On July 3, 1860, the eleventh province of the country was created, the Province of Ambato, which would later change its name to Tungurahua.